The AGP, along with large sections of people in Assam and other northeastern states, have been protesting against the Bill saying it would nullify the 1985 Assam Accord. 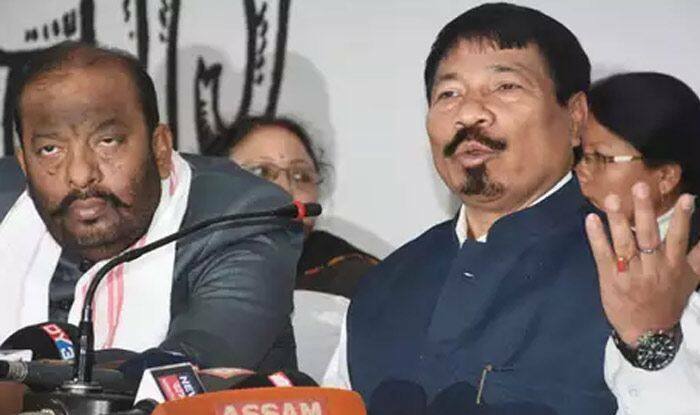 New Delhi: In yet another setback for the BJP ahead of the Lok Sabha elections, the Asom Gana Parishad on Monday withdrew support from the saffron party-led government in Assam over the Citizenship Amendment Bill passed by the Union Cabinet. The announcement was made by AGP president Atul Bor after a meeting of the Union Cabinet, chaired by Prime Minister Narendra Modi, cleared the Bill, which will now be tabled in the Lok Sabha on Tuesday. The Bill seeks to provide Indian citizenship to non-Muslims from Bangladesh, Afghanistan and Pakistan. The AGP, along with large sections of people in Assam and other northeastern states, have been protesting against the Bill saying it would nullify the 1985 Assam Accord under which any foreign national, irrespective of religion, who had entered the state after 1971 should be deported. While the AGP snapping ties with the BJP will have little impact on Chief Minister Sarbananda Sonowal’s government, which has 61 MLAs in the 126-seat Assembly in Assam, the development comes yet another apprehension for the saffron party which has been struggling with dissenting allies in northern states of Bihar and Uttar Pradesh.